Moms should be shown love and appreciation all year round, but especially on Mother’s Day. Moms should be shown love and appreciation all year round, but especially on Mother’s Day. In Canada, the celebration falls on the second Sunday of May, which means it’s right around the corner. 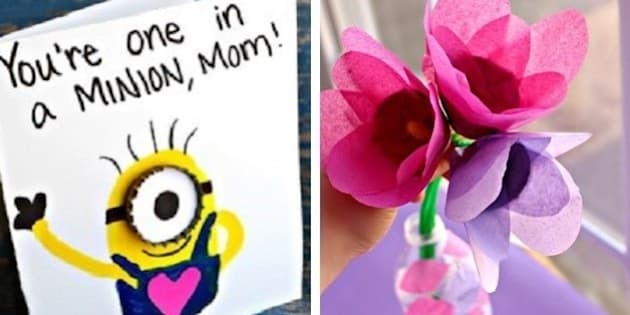 To show mom some love this year, we’ve rounded up 15 Mother’s Day crafts your kids can easily make themselves. From tissue paper bouquets to salt dough handprint ornaments, mom is sure to love any one of these ideas.